There are, often times, some very cool cloud combinations that form over the Rockies. I could not help myself. 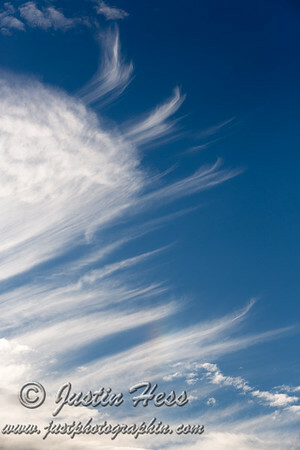 I had to take a few pictures of these Cirrus Clouds. There are also some Altocumulous/Cirrocumulous, and a little bit of a Circumzenithal Arc [or what looks like a rainbow]. It is a very faint Circumzenithal Arc, and I got lucky that is showed up while I had my camera out!